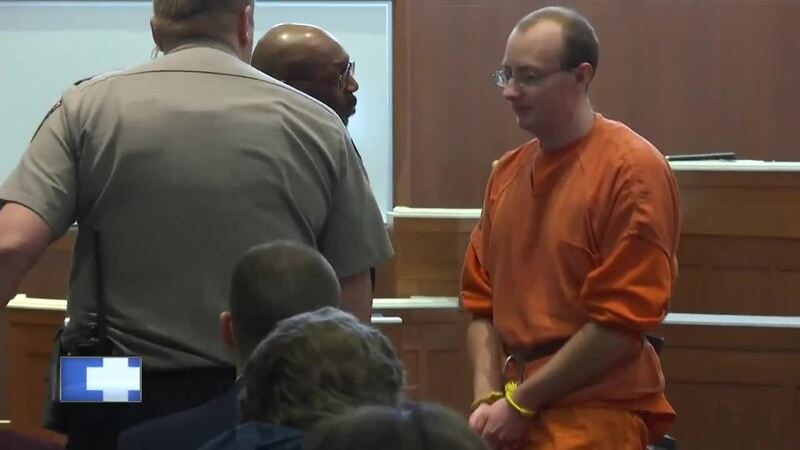 BARRON COUNTY, Wis. — Jake Patterson, the man suspected of kidnapping Jayme Closs and killing her parents, waived his preliminary hearing during a court appearance Wednesday morning. During a preliminary hearing, prosecutors must show they have enough evidence to warrant a trial. After Patterson waived his right to that proceeding, Judge James Babler set a March 27 date for arraignment, where Patterson is expected to formally enter a plea. Patterson, wearing an orange jail jumpsuit and restraints, fidgeted during a proceeding that lasted less than five minutes, with Patterson speaking only to give yes-or-no answers to the judge’s questions. It was the first time he appeared in court in person. About 20 members of the Closs family attended. Neither they nor members of the Patterson family would speak to reporters afterward.